Strength, security and convenience are vital qualities of any lock. To date, most roller door locks have failed to achieve the right balance of these features so compromises had to be made, but no longer. The Orca lock is the most advanced BQT Solutions roller door and gate lock to date. The lock is suited for outdoor environments providing solutions for roller door locking applications as well as large doors and gates. High Security Performance – With a holding force in excess of 50,000N, 18mm diameter stainless steel bolt pin and reinforced strike design, the Orca lock ensures the most sensitive sites remain protected from even the most vigorous methods of attack. 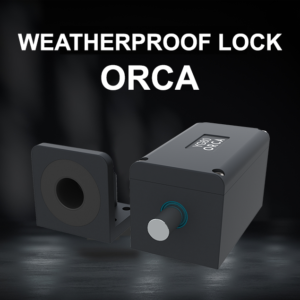 Fully Weatherproof – Key features such as an IP67 rated design and built-in heater enable the Orca to withstand extreme weather environments including hot and cold climates, marine and desert conditions. Highly Configurable – Orca can be adapted to suit a wide range of application requirements, with user selectable fail safe / fail secure modes and three user selectable control methods. Complete Monitoring – Orca can truly become a part of the access control system, with a range of output signals including: bolt locked and unlocked position, door position, and tamper detection. Versatile Installation – A symmetrical design means Orca can be installed both horizontally and vertically, giving greater flexibility to installers looking for optimum positioning. Low Cost Running – With the heater disabled, Orca offers low current consumption, drawing as little as 30mA in standby and only 300mA in operation at 12VDC. Long-term reliability – A high quality low voltage motor is the key to the Orca’s reliability while stainless steel and wear resistant plastic components ensure complete peace of mind for any security operator. 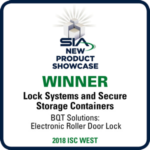 Orca lock is the latest generation of weatherproof locks from BQT Solutions and is the next generation lock succeeding the YG10 – winner of the SIA New Product Showcase Award in the Lock Systems and Secure Storage Containers category presented at ISC West 2018. The Data Sheet link below is to our latest hardware, if you require earlier hardware products to support your system, please click here to be redirected to the Support and Download section of our website.